CFCR is a Sacramento based Coffee Roaster and Retailer. Known for choosing producers who are as passionate about growing coffee as we are about Roasting and Brewing. A Chocolate Fish is a fish shaped confection indigenous to New Zealand given out as a “Thank You” for a good deed. Owners, Andy and Edie Baker moved from NZ where Andy, the Kiwi, grew up in an espresso culture. Meeting friends over a flat white was a daily occurrence and he saw the need for that same interaction here in Sacramento. 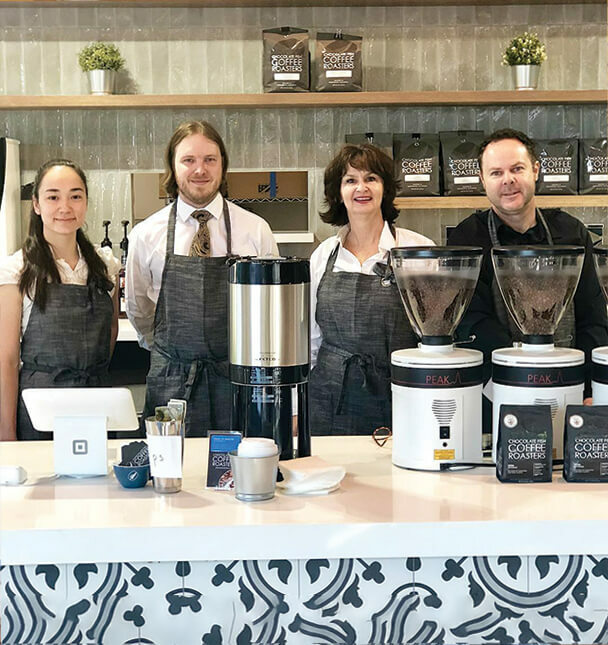 The first of three coffeehouses was created and opened in 2008 in downtown Sacramento. 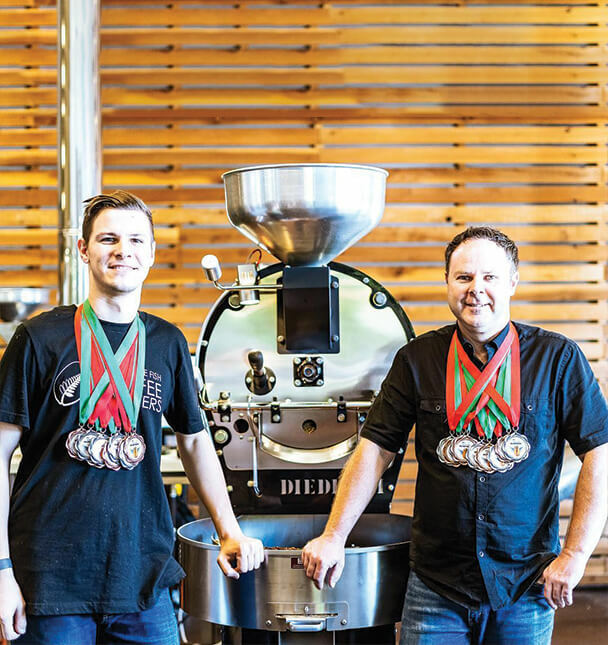 In 2010 after a Roasters Guild Trip to Guatemala to understand the growing and milling process of specialty coffee, the pair bought a coffee roaster and practiced roasting coffee until the quality was high enough to bring into the cafe. Chocolate Fish Coffee Roasters was born and has continued trips to origin yearly to form relationships with producers. These relationships have provided CFCR with access to the best tasting coffee in the world. We roast to bring out sweetness and fruit acidity and love to teach our customers about the amazing flavors inherent in the bean. We have many relationships with our producers which allows us access to Micro Lots not available to any other roaster. Always part of community events and a leader in making coffee approachable to all. We spread happiness and good coffee daily. Our baristas are known for being the nicest most knowledgeable baristas around. It takes dedication to your craft, passion for coffee, people & hours of preparation. We're very proud of our Awesome Baristas! We’re a group of like minded individuals who really love coffee and people.